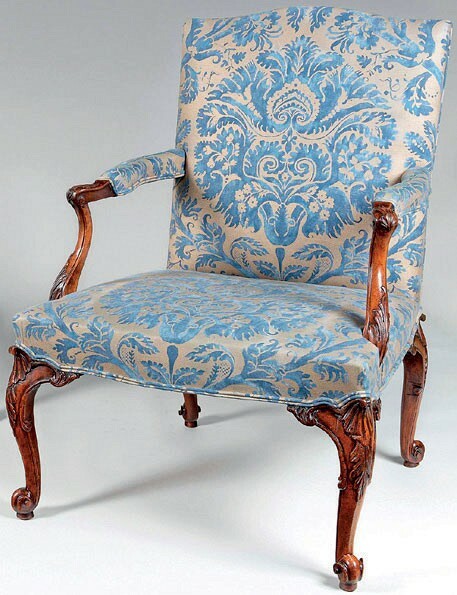 One of a pair of early George III carved walnut Gainsborough chairs, c.1765 that sold at BADA 2019. Though some reported the sort of cautious buying that has defined many recent fairs, there were buyers in evidence from the start of the Chelsea event. Attendees to the preview night on March 19 were up by a third on the previous year to 2000. Mark Goodger of Hampton Antiques sold an oval papier mache tea caddy by Henry Clay, c.1785, which was priced at £6250, as well as two car mascots within the first 10 minutes of the fair. Another key early sale was a painting by Bernard Buffet, Still Life with Cherries, which was offered for a price in the region of £125,000 and sold to a new client from The Walker Galleries. Meanwhile, Holly Johnson Antiques sold a Paola Buffa-style Indian rosewood and glass desk from Italy, c.1950, for £18,000, while Gray MCA reported a number of sales from its selection of Modern British and contemporary art, fashion illustrations and textiles. The annual fair, which hosts around 100 members of the British Antiques Dealers’ Association, closes on March 26. Meanwhile at TEFAF Maastricht, which closed on March 24, an unpublished painting by Joseph Wright of Derby was one of the stand-out sales. It sold to a major institution from the stand of Mayfair dealership Lowell Libson & Jonny Yarker. 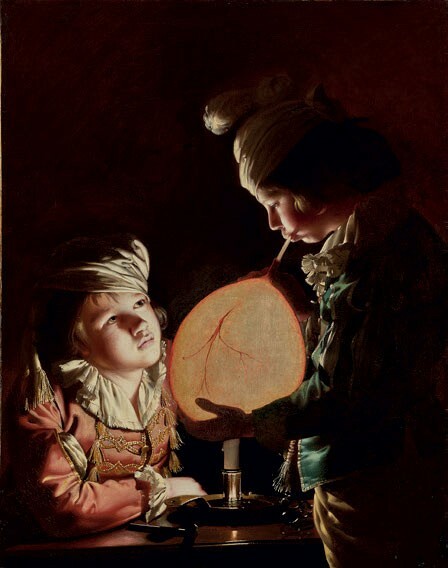 An unpublished Joseph Wright nocturne sold by Lowell Libson & Jonny Yarker at TEFAF Maastricht. Painted in Liverpool in 1769, the 3ft x 2ft 4in (91 x 71cm) oil on canvas has been traced back to Brownlow Cecil, 9th Earl of Exeter, and a Christie’s sale of 1772. It had not been seen since the 18th century and left a private collection only this year. It was probably designed to be paired with another candlelight painting, Two Girls Dressing a Kitten by Candlelight, now at Kenwood House.